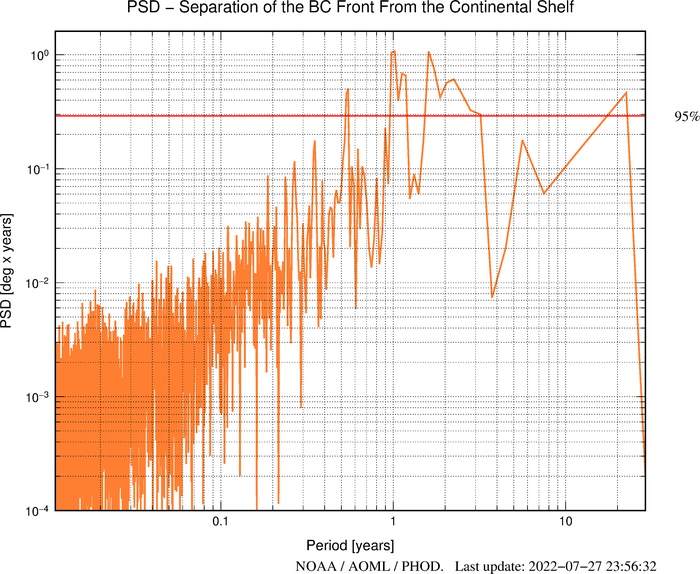 The figure below shows the power spectrum density (PSD) of the latitude of separation of the BC front from the continental shelf, defined as the intersection between the -1000m bathymetry contour and the contour when the 10°C isotherm is 200m deep. The peak-based significance level is computed at 95%. 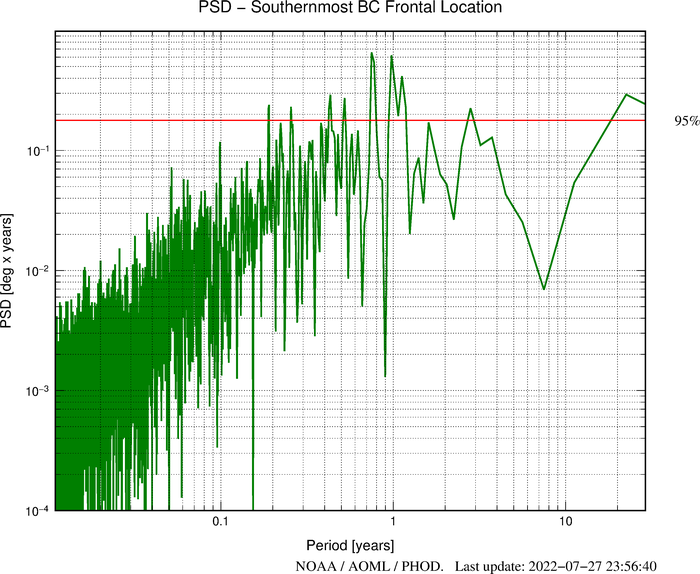 The figure below shows the PSD of the latitude of the southernmost frontal location defined as the southernmost position of the altimeter derived 200m contour of the 10°C isotherm. The peak-based significance level is computed at 95%.